Today's post is a little different, it's my first blogger Q&A post! If you haven't seen my tweets, it's a series I'm starting once a month where a group of randomly selected bloggers, who respond to my blogger Q&A tweets will answer questions on a monthly topic. If you want to join in next months Q&A and share your opinions/blog link then look out for my tweets (@ofbeautyand) - I will have a few polls on Twitter each month to choose a topic. The topic we are discussing for August is, working with brands/PRs. Question One: What brands/PRs have you loved working with? Kathryn: Ah there's so many to choose from... I'd have to say the ones that stand out to me were Carex, Jewellery Box and Seventeen. The PRs who contacted me from those three brands were solovely, it made working with them a whole lot easier! Kenzie: I have been lucky enough to work with some amazing PR agencies and brands a few favorite brands have to be Urban Decay and Boohoo. PR agency wise Imagination PR are a agency I have been lucky enough to work with for about 2 years now on a regular basis and the girls there are so so lovely. Olivia: I LOVED working with boohoo. They’re a brand I have loved from a far for a long time so to work with them was amazing! Kolcha Gov Barba also invited to London Fashion Week which felt like a dream, their collection was to die for! Sarah: I absolutely loved working with Amber from CRR, she relocated PR jobs to a different company and still keeps in touch with new opportunites. Also SEVENTEEN have been amazing to work with- such friendly people and amazing goodies. Clara: I have worked with a select few, including Sass & Belle, Gemporia and Morse Toad. All of these opportunities I have sought out myself. Tori: I loved working with Tigi - their PR company were so friendly and quick to answer any questions that I had about the products. Lottie: There are a number of brands and PR agencies I love working with. So long as they're suggesting products that would be right for my audience and are polite and friendly, I'm happy! Lyndsey: I've always loved working with The Body Shop. They've supported my blog from day one and we have had a great relationship since. I also have found since I announced my pregnancy, many parenting PR companies have been in touch and they are SO lovely. They are genuinely excited about my news and about the prospect of working together, which has been a lovely touch. I think for me, the relationship between the blogger and the PR/Brand is everything. Sarirah: I've enjoyed working with Kiehl's and Nourish Skincare. They are supportive and engage via social media which is always appreciated. They aren't ones to disregard someone based on the numbers game. One that stands out to me the most is the time I worked with Prestige Flowers. Communication was great and they thanked me for the post I wrote which I wholly appreciated. It's always nice when the effort you put into something is recognised. Question Two: Do you think sponsored posts are honest/interesting? Do you like reading them? Kathryn: This is a tricky question. For me, I don't mind reading sponsored posts - as long as they deliver a blogger's honest opinion then I'm not bothered if a post is sponsored or not. I think you can pretty much see through the posts that are deemed as dishonest though, the enthusiasm is just never there. Kenzie: I think it depends on the blog you're reading, I would like to hope most bloggers work on the same ethos as me. If it's not relevant or sometime you would normally write about then don't do it as a sponsored post. I think if you do it looses integrity for your blog and the relationship with your readers. If you produce authentic content then sponsored or not it to me wouldn't matter if the content was sponsored. Olivia: I think some can be honest but a lot of people may lie or make the product sound amazing for the sake of looking good to PR teams. I personally have emailed a PR team and told them I didn’t like a product because I just can’t lie on my blog! Sarah: Depending on the post, they can be great or boring, just like any other post. All bloggers I’ve spoken to hold honesty as something sacred and always disclaim (but then I guess I wouldn't know if they hadn’t). I love reading them if they’re related to their content already and feel you can really tell when someone’s heart isn’t in a post, sponsored or not. 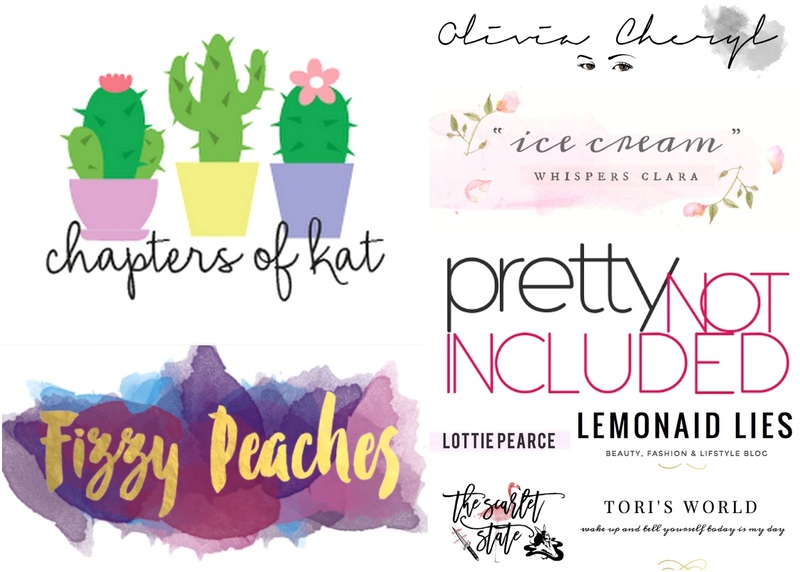 Clara: I love seeing how creative bloggers can be with sponsored and PR posts, especially when they turn an idea completely on its head to accord with their blog! However, I tend to avoid pre generated posts or regurgitated content, as I feel no personal connection to the writer, it is just an advertisement for me. Tori: I think we've got to trust bloggers with sponsored posts. There's nothing wrong with bloggers being paid for the time put into posts and I don't have a problem with that as long as it is disclosed. The best sponsored posts are where it's much more than just a rehash of a press release - I can always tell if that's been done and think it's a little lazy. Lottie: I do enjoy reading sponsored content, so long as it's relevant to the themes of the blog and that it isn't an obvious / simple advert. I prefer it when bloggers tell more of a story and mention products or brands in their own way - I love reading content with personality. Lyndsey: I think with honesty, this all depends on the blogger. I believe that 9 times out of 10 a blogger will only write something they truly feel, but I'm sure there are cases where the blogger has just done the post for the money! Usually, you can see straight through these posts, they are pretty obvious! If I like and respect the blogger, I will enjoy their posts whether they are sponsored or not as I've put my trust in them. Sarirah: I've never judged a post based on it being sponsored. Content always has the potential to be interesting based on the topic and the spin that the blogger chooses to put on it. Granted, not every sponsored post out there will be genuine (or a good read) but the ones I've read have been enjoyable. If you're being paid to write something, chances are that a lot of effort and research has gone into it. Question Three: Have you had any negative experiences while working with brands/PRs? Kathryn: The only negative experience I've had really is a PR hounding me after I'd already replied. They sent me an email that was worded quite rudely so I simply replied asking them not to contact me again. They've since apologised and all's good in the hood! Kenzie: I think I have been pretty lucky with not having any really negative experiences when writing review posts. When I started out I would review everything I was sent but although not to moan or sound pretentious I can no longer review everything I am sent and since explaining that to companies when they offer to send me products for review, the expectations are that while I will try to review I can't guarantee unless agreed. I think this allows them to make the choice and know where I stand and where they stand meaning the possibility of negativity is lessened by being honest and upfront. Olivia: I haven’t at all! All PR teams have been amazing with me and to date I haven’t had one bad experience! *touch wood! * As for a negative review I would also let the brand know first and let them decide if they would like to post to be published. Sarah: No negative experiences yet, but of course almost every product has bad parts that as a blogger you have to be honest about. I find that even when I do include negative aspects of a product in a sponsored post, the brands/companies are always really pleased with the feedback. It works for them to sell their product and improve on it! Clara: I have learned to be wary when collaborating for a sponsored post, as there are companies that like to pull tricks to avoid having to pay ie. changing their mind once the post is written, inventing new agreements. Be aware of any red flags or anything that doesn't seem right in communication. Only agree to a collaboration when it makes sense to you and is relevant to your blog and be aware of everything that is going on. Tori: I haven't had any negative experiences or not liked a product I've been sent. I think I've probably been lucky there. I'd rather not post at all than post a totally negative review - I would let the brand know that it wasn't suitable for my skin type and therefore I wouldn't be posting a 100% positive review. Lottie: I do receive products I don't particularly like, and I usually share my feedback with the brand directly, and don't tend to feature them on my blog or social channels. To be honest, I like to read about each product I'm sent before accepting any gifting, as I feel it's pointless receiving products I'm not interested in. In terms of negative collaborations, yes - I've had a handful! This includes not making payments after an agreed sponsored post, or general rude emails! Luckily these are few and far between! Lyndsey: I have had a couple of occasions where I feel I need to write a negative review and I will always be honest about this. I've always spoken to the PR first to discuss options as keeping a good relationship with them is key, however honesty and credibility is so important too - it's a tricky balance. Usually I try and strike a middle ground, for example if I didn't like a skincare product I'd highlight why it didn't suit me and the downsides, but put a positive spin on it saying it could suit someone else because of x, y and z. Question Four: Do you think there is more comptetion to work with brands/PRs? Kathryn: I think there will always be competition in blogging, especially when it comes to working with brands. My advice would be to go ahead and contact brands yourself, make yourself known to PRs. Otherwise chances are they may never come across you! Kenzie: There is huge amounts of bloggers around now than when I started out. I don't think there is any more competition though, if you blog for the right reasons brands will want to work with you. The amount of brands wanting to work with bloggers has grown hugely meaning more opportunities for more people who may not have got them before when blogging was really niche. Olivia: Definitely!! I sometimes think it can all be about numbers, although I have approached brands myself with the low follow count I have and they still would like to work with me! I think if you put time and effort into your blog brands will appreciate this! Sarah: I think there’s definitely some competition going on but believe that if you really want to enjoy blogging as a hobby, you can’t let competition/‘winning' be the only reason you’re doing it. Every blogger is different and we’re such a diverse bunch when you get to the nitty gritty so obviously brands approach bloggers for unique reasons, and the strength of the blogging community totally outweighs any competitiveness. Clara: I think it is difficult to be noticed as a blogger in today's world so never be disheartened if you are rarely approached by brands, you are never alone! You are entirely individual, your blog is a beautiful, rare thing and never let PR opportunities define the worth of your little corner. Instead, take matters in to your own hands! Contact brands that are relevant to your blog and pitch them some of your awesome ideas. Alternatively, there are often forums on various sites where brands are searching for bloggers. Tori: I think that blogging becoming bigger has lead to blogging being recognised as a powerful voice in the industry. However, it's harder to get noticed in amongst all the blogs out there. I do find that there are brands out there keen to work with smaller bloggers but obviously brands also want their product to be seen by as big an audience as possible...it's a tough one. Lottie: I think there is definitely more competition to work with brands as the blogosphere is constantly growing. But, each blog and blogger is different - differing topics, audiences and writing styles. I don't feel in competition with other bloggers at all. To be honest, I love the variety of blogs out there and as a whole it's a very friendly and welcoming community that I'm proud to be a part of. It's great being able to help each other out when need be and I love seeing bloggers collaborate together - that's definitely something I'd like to do more of. Sarirah: In short, yes. But there are also a lot more brands (big and small) who are open to working with bloggers now. With engagement and quality content being recognised (and not just numbers) the competition is definitely tough but the playing field is open to all. Make sure you check out of blogs and social media of the lovely bloggers who have taken part in my first blogger Q&A post! If you want to join in next months Q&A post *the topic will be blogging in Autumn I think* then tweet or email me! Feel free to answer the questions in the comments below! Do you think this Blogger Q&A series should continue? Thanks for sharing you guys opinions! I had one PR company contact me, then my readers telling them I was wrong. I do not allow that crap! Great post! It was so interesting reading everyone's thoughts. It's interesting to see that some people don't like to put negative reviews on their blogs. I think it's right to have a bit of balance, personally.